There are 29 Assisted Living Facilities in the Coatesville area, with 4 in Coatesville and 25 nearby. The average cost of assisted living in Coatesville is $5,620 per month. This is higher than the national median of $3,346. Cheaper nearby regions include Downingtown with an average starting cost of $4,463. To help you with your search, browse the 139 reviews below for assisted living facilities in Coatesville. On average, consumers rate assisted living in Coatesville 4.3 out of 5 stars. Better rated regions include Downingtown with an average rating of 4.3 out of 5 stars. Caring.com has helped thousands of families find high-quality senior care. 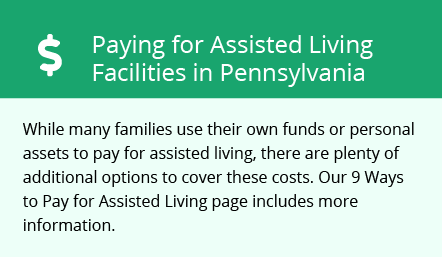 To speak with one of our Family Advisors about assisted living options and costs in Coatesville, call (855) 863-8283. Coatesville, Pennsylvania, has been home to fur trappers, steel manufacturers and various factories during its nearly 250-year history beside the Brandywine River, nearly 40 miles west of Philadelphia. Originally, it had a population of one person who lived in a log cabin in what became the center of the city. Now, more than 13,000 people live in the city, nearly 1,200 of them aged 65 and over, who may benefit from assistance with activities of daily living. Eight assisted living residences (ALRs), as they're called in Coatesville and throughout Pennsylvania, are in the area to provide support. They're licensed and governed by the Pennsylvania Department of Aging and the Department of Public Welfare. The cost of living rating in Coatesville is low at 91.2 compared to the U.S. average of 100. Housing is especially inexpensive at only 49.6 compared to state and national medians of 88.7 and 100. Daily living expenses are comparable to state and U.S. figures. Healthcare is a bit higher at 114.6, but families may be able to compensate for higher healthcare expenses with the extremely low housing cost, which may be reflected in assisted living costs. Coatesville violent crime rate is 43.9, which is almost double the U.S. average of 22.7. The property crime rate is only one point greater than the national figure. Before committing to a prospective ALR, ask what type of security safeguards are in place to protect residents. Pennsylvania seniors aged 60 and above pay no taxes on their income, including retirement accounts, pensions and Social Security benefits. This welcome exemption combined with an low sales tax rate may help families allot more money to assisted living costs. Coatesville receives an average of 47 inches of rain and 32 inches of snowfall annually, compared to the U.S. average of 39 and 26, respectively. High temperatures climb to 85 in the summer and drop to 21 in the winter. Particle pollution is low in Coatesville, as evidenced by the "A" grade it was awarded by the American Lung Association. However, the city earned an "F" for high ozone levels. Seniors with respiratory diseases like asthma or lung cancer may prefer a location with lower ozone levels. Chester County is home to world-class medical facilities, including those specializing in brain health and dementia care, such as Chester County Hospital and Paoli Hospital, in the event of medical emergencies or illness. Assisted Living costs in Coatesville start around $5,620 per month on average, while the nationwide average cost of assisted living is $4,000 per month, according to the latest figures from Genworth’s Cost of Care Survey. It’s important to note that assisted living rates in Coatesville and the surrounding suburbs can vary widely based on factors such as location, the level of care needed, apartment size and the types of amenities offered at each community. Pennsylvania doesn't offer Medicaid benefits for assisted living services, but adults who receive Supplemental Security Income may get an extra stipend to help pay for personal assistance. Coatesville and the surrounding area are home to numerous government agencies and non-profit organizations offering help for seniors searching for or currently residing in an assisted living community. These organizations can also provide assistance in a number of other eldercare services such as geriatric care management, elder law advice, estate planning, finding home care and health and wellness programs. To see a list of free assisted living resources in Coatesville, please visit our Assisted Living in Pennsylvania page. Coatesville-area assisted living communities must adhere to the comprehensive set of state laws and regulations that all assisted living communities in Pennsylvania are required to follow. Visit our Assisted Living in Pennsylvania page for more information about these laws.